This publication contains a wide variety of both technical and general astronomical information. 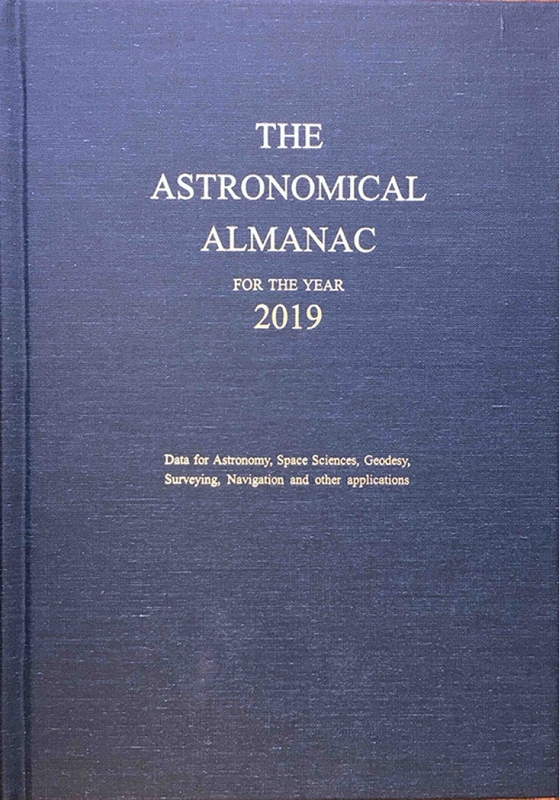 The book is a worldwide resource for fundamental astronomical data and the flagship publication of the Nautical Almanac Office at the US Naval Observatory and Her Majesty's Nautical Almanac Office at the UKHO including contributions from astronomical experts worldwide. It contains positions of the Sun, Moon and planets to milli-arcsecond precision, positions of minor planets and planetary satellites for each year together with data relating to Earth orientation, time-scales and coordinate systems. Phenomena including eclipses of the Sun and Moon, sunrise/set, moonrise/set and twilight times are provided as well as fundamental astronomical reference data for stars and stellar systems, observatories and related astronomical constants and techniques. A joint publication with the United States Naval Observatory.